Juliet and Dan Hickey’s dad Declan sadly passed away from Cancer in 2017. This Christmas, we need your help to support many more families affected by Cancer. 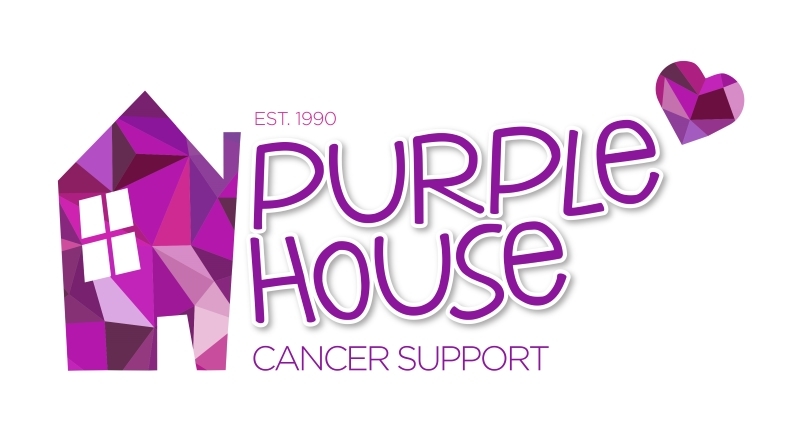 or phone us on 012866966 to make a donation over the phone. 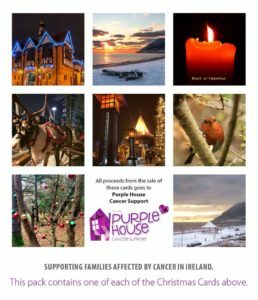 When you buy a pack of our Christmas Cards, you help us to provide comfort, support & practical help to families affected by Cancer. Our services such as Counselling give people the tools to cope & move forward after a Cancer diagnosis. 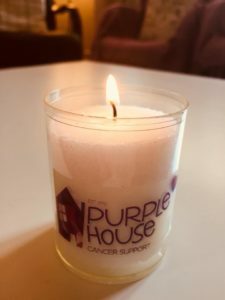 Remember a loved one or show your support for someone living with Cancer with our Candle of Hope this Christmas. This Christmas remember a loved one or let someone know you are thinking of them. 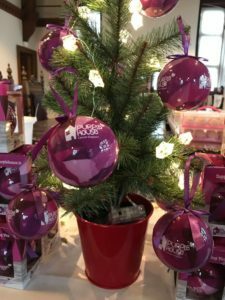 Buy a Purple Bauble, write a name on it and place it on your Christmas tree at home.